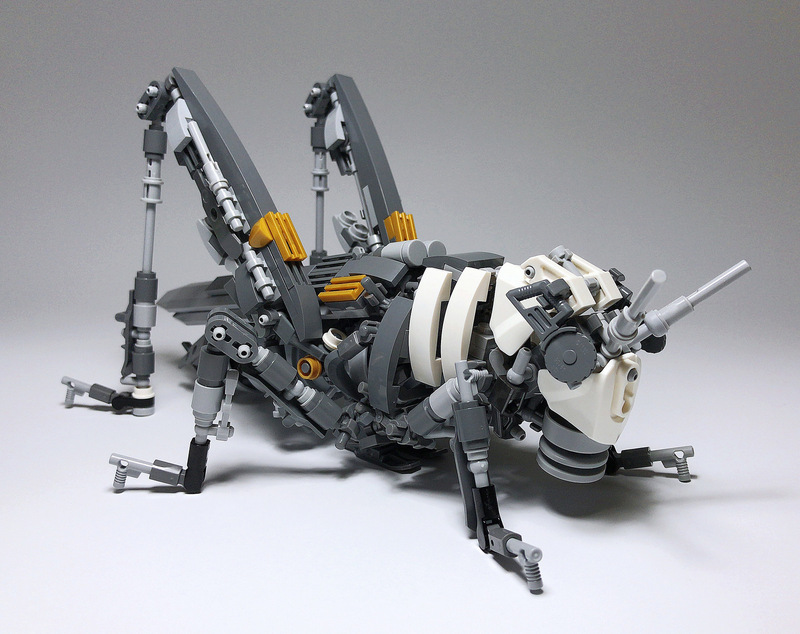 It’s quite a feat to turn an organic living creature into a LEGO representation, but Mitsuru Nikaido takes it up three notches. He seems to have an exquisite set of skills in taking animals and creatures alike turning them into astounding mech interpretations. He also has a knack for using a minimal color palette to bring out the best contrast. First up is the menacing (almost frightening!) locust, big enough to single-handedly devour a corn field on its own. At first glance, it’s hard to see the work put into this. I encourage you to zoom’s in and admire the how the builder used different LEGO elements to create the desired effect. Keep an eye out for the banana element in dark bluish grey. Up next is an elegant red crowned crane, commonly known as a Japanese crane. 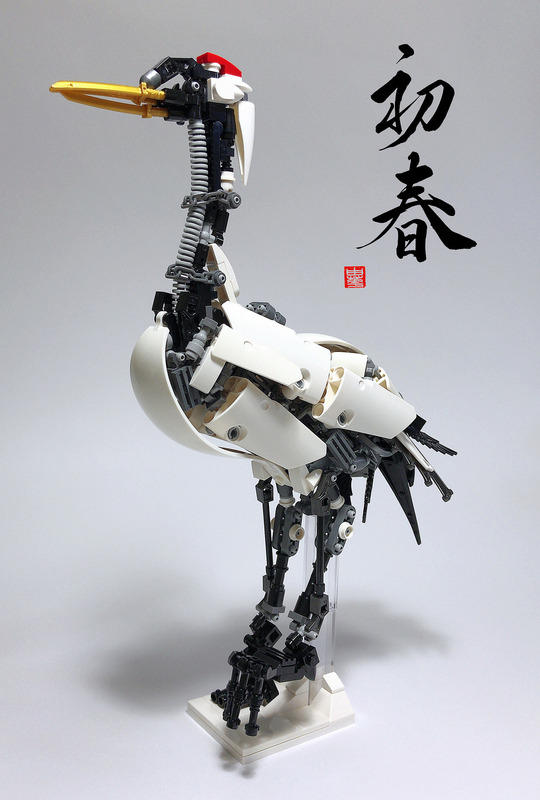 What really stands out in this build is the simplicity of parts used, including white Technic plates and curves to represent the shape of the crane. My favourite part is how the 3 golden Japanese ninja sword elements are appropriately used to represent the beak of a national icon.